I’ve enjoyed being a real estate agent since 2005, and while I can serve all of your real estate needs, I specialize in high-end residential. I am passionate about giving 100% to all of my clients. After working in “Corporate America” for 16 years, I am bringing all of my management skills to my clients & the real estate business. As co-owner of Austin Options Realty, and a REALTOR®/GRI, I can ensure you are receiving the highest quality service whether you are looking for commercial property, looking for investment opportunities, or buying / selling your home. I’ve also trained over 50 agents in residential real estate, so if you’re an agent give me a call! I've been a Licensed Real Estate professional since 1994 and have been a Top Producing Agent since 1995. My goal is providing QUALITY SERVICE to my clients. I strive to complete each transaction as if it were my own. Real estate is not just a profession for me ... it's a way of life! One I find extremely exciting, personally challenging and totally rewarding. I'm proud to say that 98% of my business comes from my past clients, their families, co-workers and friends. As a LISTING AGENT, I will customize an extensive results-oriented marketing plan to get the maximum value for your property in the least amount of time possible. I stay in close touch with my sellers and specialize in getting my listings sold within the first few weeks of the listing period. As a BUYERS AGENT, I am committed to putting the fun back into your search for that "perfect" property. Whether you are purchasing your 1st home, have outgrown your current home, or ready for the retirement home, let me provide you with a stress-free, enjoyable home buying experience. I'm a skilled negotiator and will work tirelessly to find you the right home at the right price! Nothing satisfies me more than seeing the smiles that result from a successful sale or the purchase of a lifetime! Whether you are looking to buy or sell a home or just needing information on real estate in general, I look forward to hearing from you today! Wow! What an Agent! I am a Real Estate Agent providing sellers, buyers and tenants with trusted support for years, in both residential and Commercial. I am here for YOU for all real estate needs! After spending twenty years in the hotel/restaurant industry, I relocated to Texas with my family in 1991 and have been providing full-time quality real estate service since. I specialize in representing my clients in the purchase and sale of residences and income property within Austin. 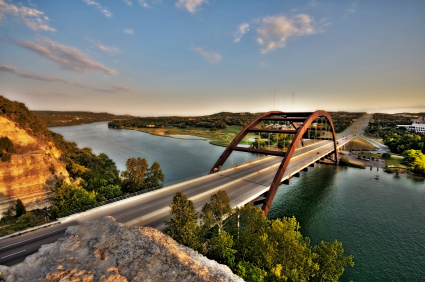 My areas of expertise lie in SW,W,LS,HD, HH and 10 other areas in the Austin region. I truly love this area and pride myself on my knowledge of current transactions, school districts, neighborhood information, and related services, including mortgage, insurance, inspection information, and much more! I am a customer driven real estate professional dedicated to achieving results and providing exceptional service to every one of my clients. If you are in the market to buy or sell a home, or just looking to lease, I will be more than happy to put my 20 years of real estate expertise to work for you! Mark J Lander has been active in commercial real estate since 1982. His experience includes brokerage and leasing, property management, as well as development and construction. He has managed commercial portfolios across the Unites States as large as 6 million square feet, and provided asset management to property valued at more than $200 million. Projects Mark has worked on include hi-rise office, light industrial and flex-space, shopping malls and strip retail and multi-family housing. Mark has been active in many real estate associations including ICSC, IREM, IFMA and Mark is a licensed real estate agent in the state of Texas. Mark lives in Dripping Springs Texas with his wife of 26 years, Lisa, and his two children. Jeff Whitehead first became a licensed Realtor after working in the Oil and Gas industry, negotiating land acquisitions. Jeff brought his knowledge of contracts and title work to the world of residential real estate. With the booming Austin market growing every day, Jeff brings market knowledge and helps clients navigate the fast-paced real estate market. Jeff is a member of the Austin Board of Realtors, the National Board of Realtors, holds the Certified Negotiation Expert (CNE) Designation, and is a member of the Multiple Listing Service. As a member of the #1 real estate firm in Austin, Jeff has access to a myriad of resources and industry specialists. Jeff also holds a Bachelor’s of Science from Texas A&M University. Whether you are looking for luxury homes, new construction, new-to-you homes or condominiums, Jeff Whitehead will work hard to represent your best interests. Welcome to Will Mannis of Austin Options Realty. Let me help you find buyers for your home or find you the perfect new home. I help people invest in real estate - either buy, sell or rent. Call me at 512-845-3441 or use the link below for my email. My wife and I have lived in the Austin area for the past 9 years. We moved, with our 2 children, to Taylor, Texas to pastor a small rural church. I have guided the church through a building project of a new facility from the ground up. I love helping people accomplish their goals in life. If you are looking to buy or sell or just some questions about the industry I would be more that happy to talk with you. Just give me a call. You will find me to be very friendly, open, honest and just plain down to earth. I look forward to helping you to achieve your goals and dreams. I am originally from ​S​​​outh Texas, where I grew up and met my wonderful wife. We decided shortly after marriage that Austin was the city where we wanted to have and raise our family. We moved here in 1985 and raised our two boys. I have been working in the medical field for 30 years now, but decided to get my real estate license as another way to help people. With integrity and honesty I will represent you in your transaction. Whether you are buying, selling or investing in real estate to make it as smooth and enjoyable seem less process as possible. Originally from Ohio, she settled in Austin several years ago. Her clients say she's a great agent, our office adds she's a great chef!